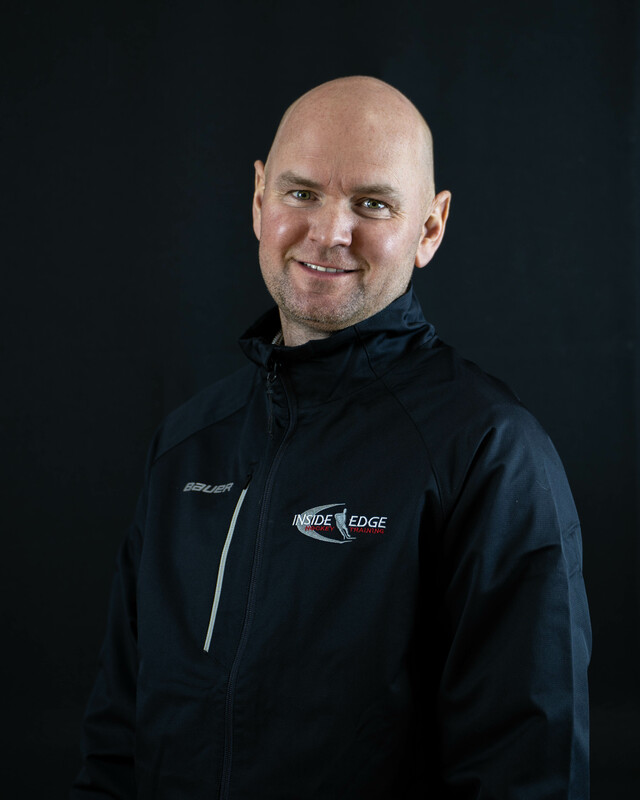 Kurt has been the General Manager of Inside Edge Hockey since its inception in 2003. With over 20 years of coaching experience, he possesses the vast range of expertise required to coach all ages and skill levels. He has both a Diploma in Business Administration from Douglas College and a Bachelor of Arts in Economics from Simon Fraser University. Like many Canadian youth, Kurt grew up playing hockey. He played for Port Moody Minor Hockey and was awarded Player of the Year for Port Moody and Referee of the Year for Port Moody Minor Hockey. He has also played Junior B Hockey for the Ridge Meadow Flames. Among his greatest achievements are captaining three teams to Provincials and one team to the BC Winter Games. Kurt’s greatest passion is coaching hockey, at every level of the game. He has worked with 3-year-olds lacing up their skates for the first time to NHL players prepping for training camp. He takes great pride in helping players develop their skills and watching their confidence grow. With how far they’ve come in just 15 years, he looks forward to the next 15 years at Inside Edge and all that they can accomplish. For Kurt, there’s no better feeling than watching a child he first taught to skate backward now pursue their hockey career.